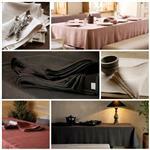 Belgian Huis is proud to offer Libeco Home designer table linens imported direct from Belgium. 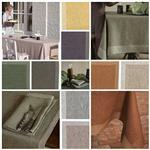 Here you will find our collection of designer linen tablecloths, linen napkins, placemats, and table runners in a variety of colors and designs. 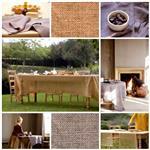 You'll also find a beautiful selection of intricately designed handmade lace tablecloths. 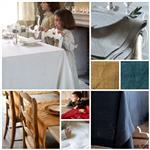 Click on any of the links below to see our table linens. Should you have any questions, please don't hesitate to email us at info@belgianhuis.com, or call us at 203-904-3585.